Process Filters PF are designed for applications in process industry, where the risk for corrosion of compressed air system components is very high. 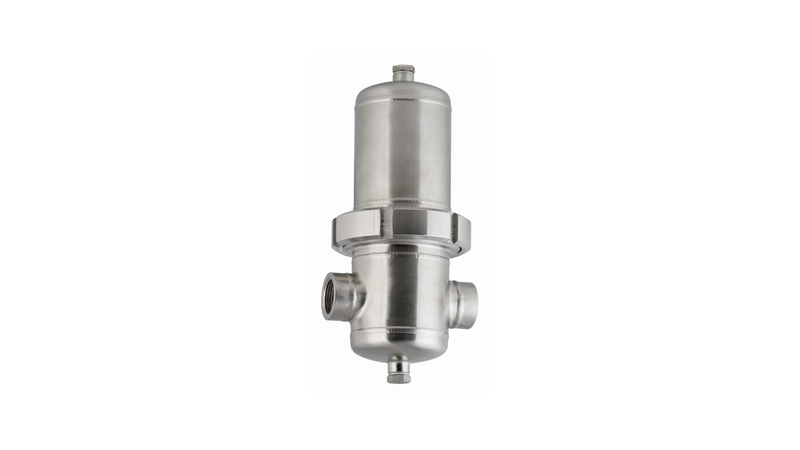 PF filters are therefore made of high quality stainless steel for pharmaceutical industry (quality 1.4404(316L)). Housing is polished down to grade Ra1.6. Filter media is made of sintered stainless steel (quality 1.4404) and it eliminates impurities down to filtration grade 20 µm.